North Korea has marked the 70th anniversary of its establishment with massive ceremonies and a military parade featuring floats and flowers, but only displaying short-range battlefield rockets instead of the more controversial missiles that are said to be capable of targeting the US mainland. According to Press TV, the celebrations, which will last about a month, kicked off on Sunday with the anticipated military parade widely covered by the media. Delegations from foreign countries arrived in Pyongyang on Saturday to attend the celebrations, which include a trade show designed to attract foreign investment in various fields, including the tourism sector. Delegates from China, Russia, and Mauritania held separate meetings with North Korean officials to discuss bilateral relations and developing economic ties. Notably, the military parade this year lacked the country’s more advanced weaponry. No intercontinental ballistic missiles (ICBMs) were displayed. Colored balloons and flowers were ubiquitous. 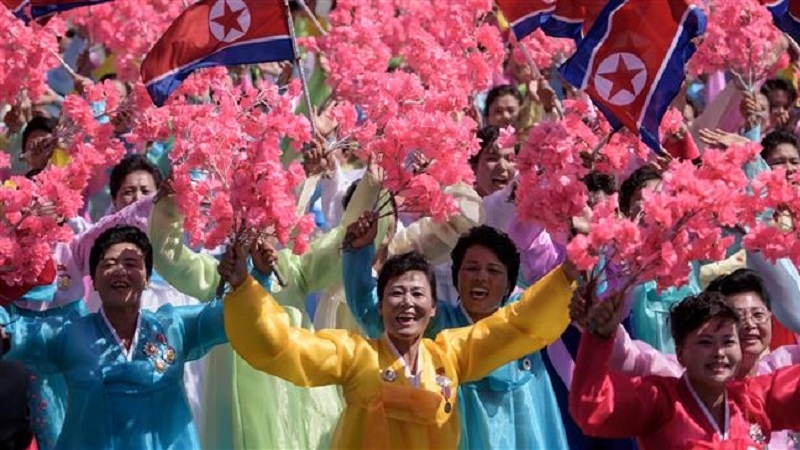 And the theme for the celebrations this year was unifying the Korean Peninsula, divided since the 1950-53 Korean War. Spectators watched the parade as tens of thousands of soldiers goose-stepped and columns of tanks drove past a review stand, from where North Korean Leader Kim Jong-un observed the parade. Some people waved unified Korea flags. North Korea’s missile and military nuclear program has been the subject of a mostly Western outcry. The United States in particular has imposed rounds of harsh sanctions on Pyongyang to force it into giving up its weapons programs, but to no avail. Recently, and after a rapprochement between North Korea and its chief regional rival, South Korea, the US began a round of diplomacy with Pyongyang. US President Donald Trump met with Kim at a summit in Singapore in June. Diplomatic engagement has continued since then, but progress has been slow.